I have an issue that's been going on as long as I can remember, but it's been really bugging me lately. When I go to start the Viking, there is almost a delay when I turn the key, then I get a really weak feeling start up, if that makes sense. It's like the battery is low when I turn the key, then it'll finally get enough and start. I did notice yesterday the voltmeter on the dash read 9.9 while trying to start, then went to 13 something after it started. I replaced the stock battery 2 weeks ago with a brand new battery, same specs. I also have been keeping it on a tender since installing the new battery. Even with the new, I am seeing the same thing. So, I isolated my stereo to make sure it's not drawing power somehow. It's on a toggle switch now. Same thing. I really noticed it yesterday when I was out spraying and stopping/starting pretty often. I even got an extra battery to run my sprayer off of. Anyone experience anything similar? Not sure exactly what to even look for. My old Rhino just cranked right away with no hesitation and I feel this should be the same way. Try re-doing the battery connections and put it on a charger till it is full. That worked for me. cactus, kynknwl and bd_skrillz like this. 13 volts is too low with the engine running, it should be charging around 14.5 volts. So maybe you have a dud alternator and/or rectifier. 9.9 volts is also too low whilst cranking, indicating a run down battery. 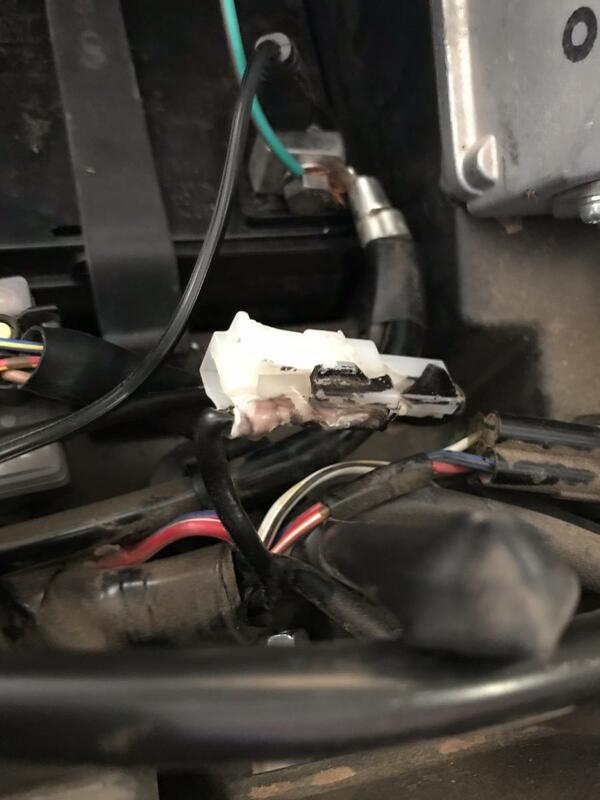 BUT, you said you've had it on a tender etc so battery should be fully charged, so most likely your starter is shot or has a bad connection, or the starter relay is faulty. kynknwl, bd_skrillz and mjn like this. Sent from the bottom of ANOTHER empty whiskey bottle. Street legal Blue Viking, 2017 model, bought 3/4/2017. Street legal Blue Viking, 2014 model bought 3/4/2014, sold 3/4/2017 with 2850 km and 189 Hrs. Yamaha Saggy Bottom Club member. Cac-ta-lack is usually spot on with these things. But 1st, do what monkey says. Last edited by bd_skrillz; 03-26-2019 at 07:01 PM. Starter motor. If the starter is on the way out it will draw a heap of current (dropping the voltage read out down) and crank slowly. Could be bad solenoid, connections to starter etc too. Cactus is old and wise, and drunk. cactus, kynknwl and mjn like this. Thanks for all the ideas. I took a quick video yesterday evening so this would make more sense. Sounds like Cactus has it. Looks and sounds like a weak/bad starter. Ok, I think I found the culprit. 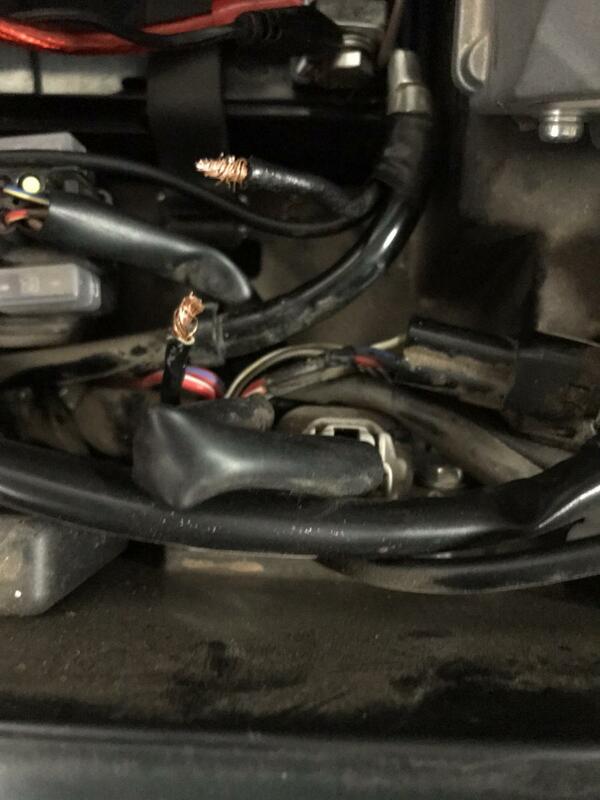 This connector in front of the - battery terminal was all but melted. I was able to cut the connector away and get wire exposed. It was like a male and female spade connector encased in a plastic connector. I tried splicing it with a wire nut, but now I can't get the Viking to start at all. It just buzzes when I turn the key. I am guessing I will need the connector to properly get these wires back together. Fixing to start searching for that part, hopefully I can find it. I think I am going to get a new starter relay while I am at it just to be safe. Any thoughts? I am coming up short on finding this connector. It's not available as a part. It's in the circled section of the diagram, but not listed for sale. Does anyone know what I would even search for to find this thing? Go to first new post Mud Lite XL Tires?